If your dream vacation includes traveling by private jet and yacht all while sipping some of the finest scotch (is that not anyone’s dream? ), you’re in luck. 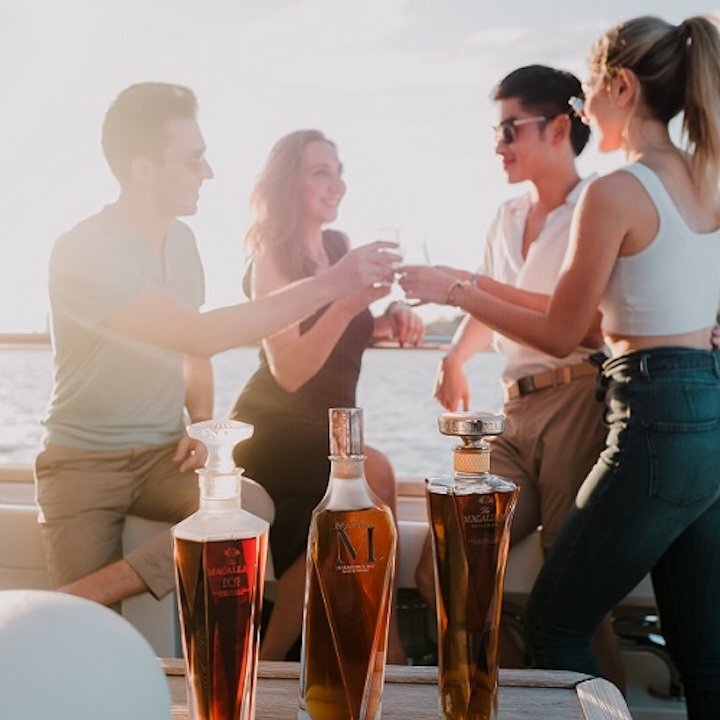 The Macallan just debuted The Macallan Masters Journey, a scotch-heavy luxury trip from New York City to Miami in partnership with Monarch Air Group and Golden Yacht Charters. Once aboard a private jet at New York’s Teterboro airport, guests can sample whiskys from the masters series, including The Macallan Rare Cask, The Macallan Reflexion, The Macallan No. 6 and The Macallan M. A private chef will make sure no one goes hungry, pairing dishes with the different pours. After touchdown in Florida, guests will board a chartered yacht bound for Miami. The experience is available beginning this December and starts at $46,000. The trip is entirely customizable, including the number of guests per trip, though no details were given about how the price adjusts. Suddenly, this all-you-can-drink craft beer flight seems so reasonable.